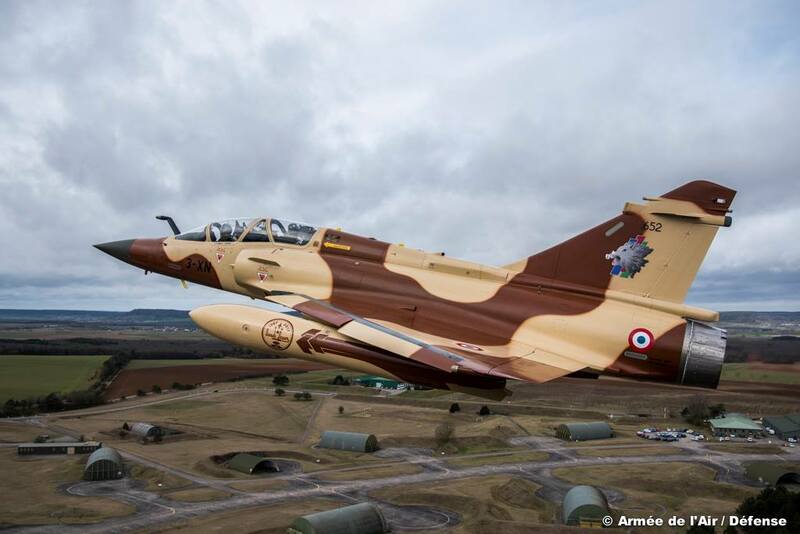 The special aircraft was painted to celebrate the 30th Anniversary of Ouadi Doum air raid. 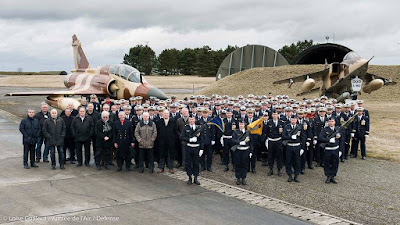 The French Air Force invited all the veterans who served in the Escadron de Chasse 3/3 Ardennes and on the Jaguar jet to attend the ceremony held at the Base Aérienne 133 Nancy-Ochey Officiel to celebrate the thirtieth anniversary of the raid on Ouadi Doum. 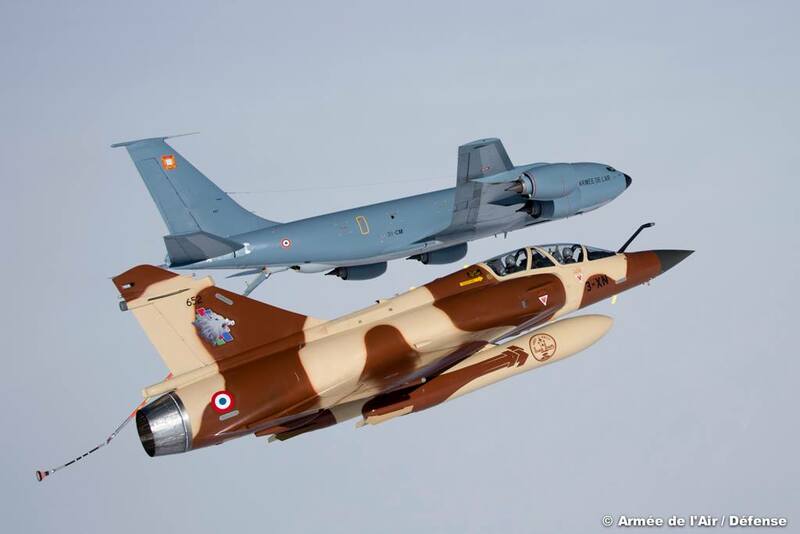 During the event, the Air Force unveiled a Mirage 2000D with a special "Vanilla-chocolate" livery, the same one that had received the Jaguars who took part in the raid. 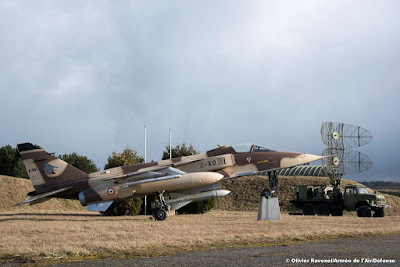 The air attack of Ouadi Doum was carried out by French aircraft on February 16, 1986, against the Libyan air base of Ouadi Doum in northern Chad, during the Chadian-Libyan conflict. 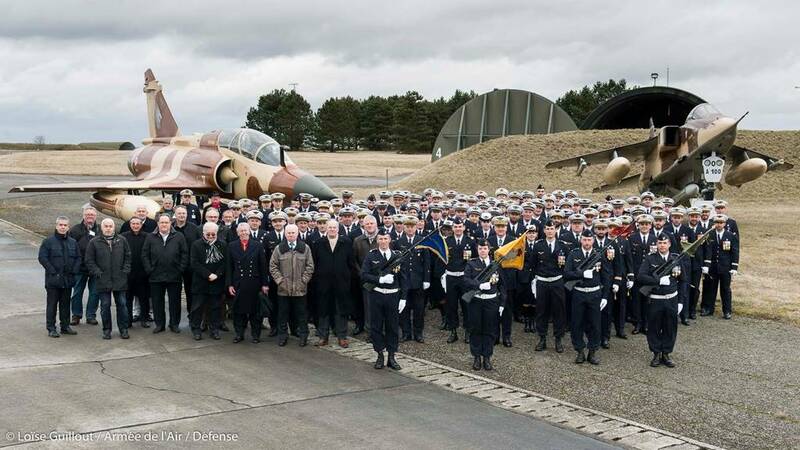 The raid demonstrated France's commitment to countering the expansion of Gaddafi and providing support to former French colonies. 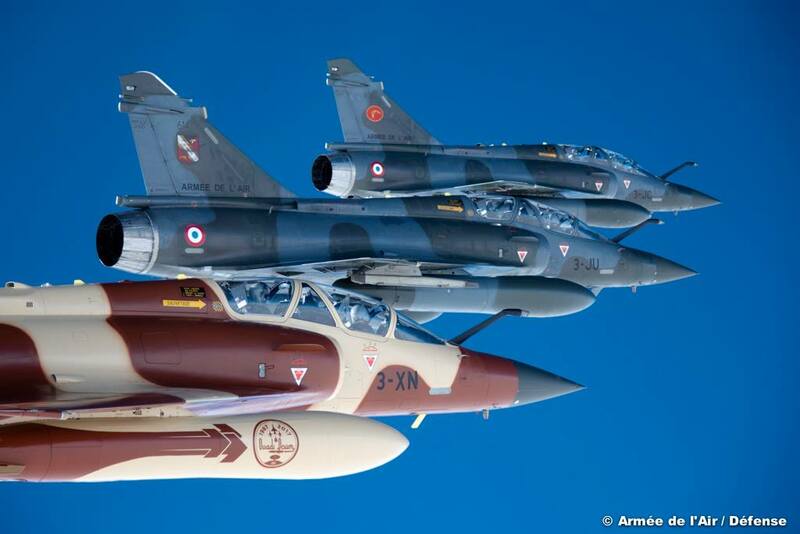 On 16 February, eight Jaguars escorted by four Mirage F1s, left Bangui to Ouadi Doum. The fighters conducted a low-altitude attack to avoid Libyan radars and ground-to-air missiles. 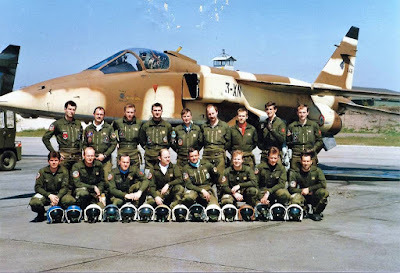 They made a single pass on the target, dropping about forty BAP 100 bombs on the airfield. The whole attack lasted less than a minute and was successful. 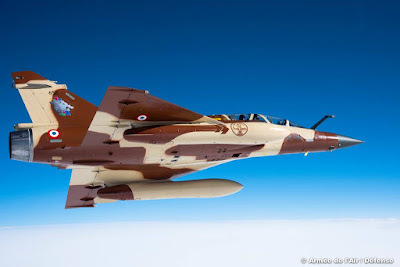 Ouadi Doum was a symbol of Libyan expansion. 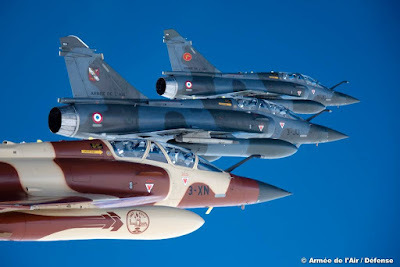 With this action the French government intended to send a message to their African allies, demonstrating their determination to face the Libyan power.